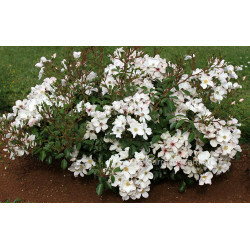 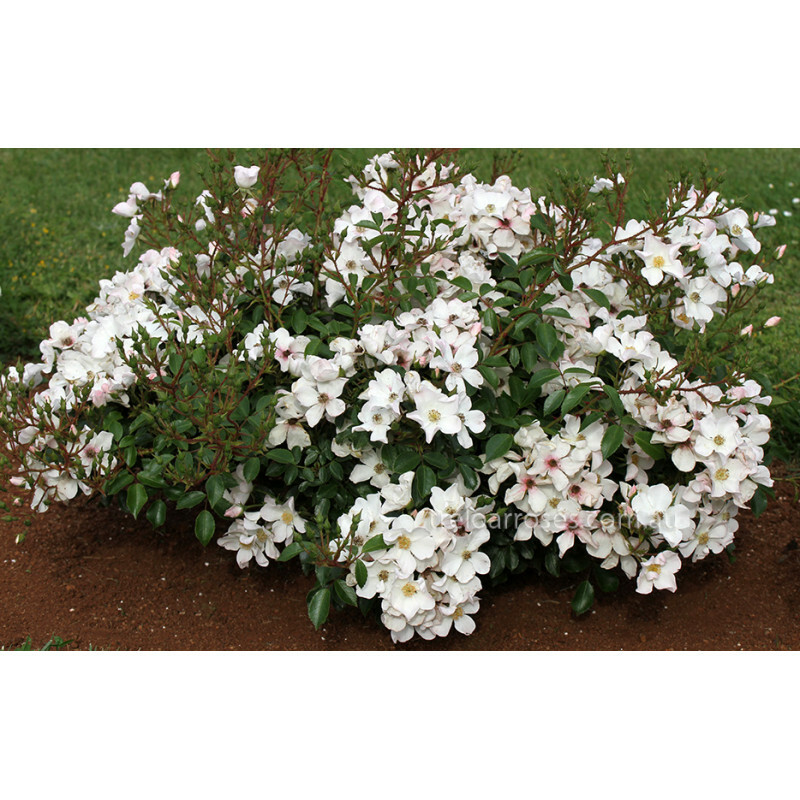 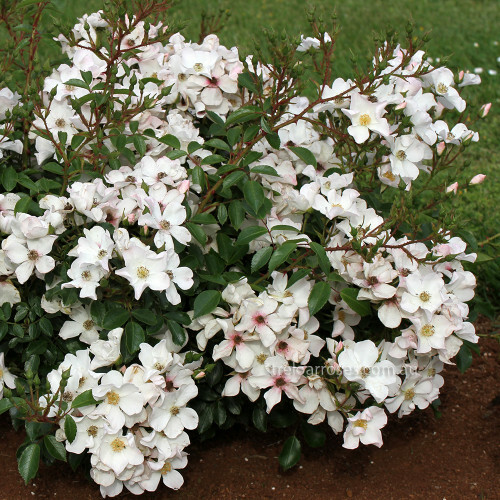 (Korconta) - Masses of pure white single flowers repeat continually all season. Flowers and foliage are produced from ground level on a densely foliaged plant, making it ideal for bordes. Height to 50 cm, but can be grown as a taller hedge if left unpruned.